For a music genre that emerged in the early 2000’s, grime has come a long way. A sound that was significant to the underground music scene in the UK had few and far between mainstream hits. There was, of course, Dizzy Rascal, one of the pioneers of grime music, whose debut album, Boy in da Corner, went on to win the Mercury Prize for best album. Fast forward ten years later, and it was JME and Skepta’s time to shine. Their friendship and affiliation with Drake brought their music and the grime genre to a new international level, especially in his latest record, Views, which features several UK references and collaborations. However, with the rise of Stormzy and his critically acclaimed debut album this year, becoming the first grime album in history to reach number one, there is no doubt that grime has had a resurgence. While grime MC’s are the faces of the genre, the sound that developed from UK garage and jungle, using syncopated breakbeats is what truly makes the style so distinctive. 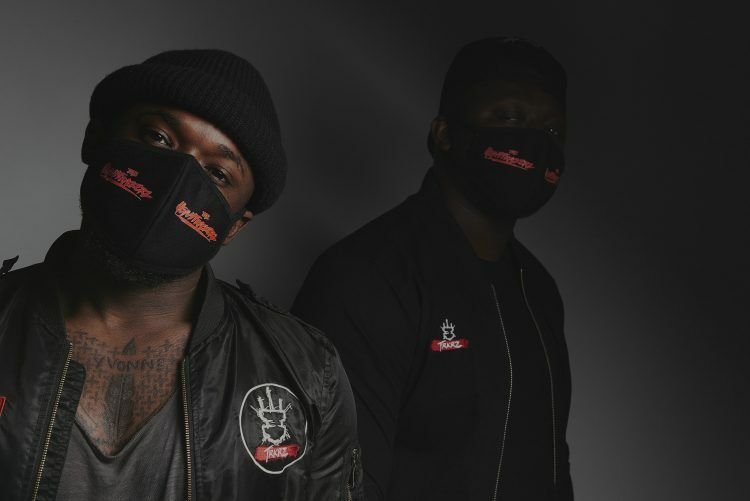 It is unsurprising then that production duo, The HeavyTrackerz, heavyweights in the grime industry, and believed to help to launch the careers of Stormzy and Meridian Dan, having produced ‘Standard’ and ‘German Whip’ have just released their debut album, Odyssey: A Musical Journey. I catch up with Tank and Tee to discuss the new record. The duo have been in the industry for over a decade and reminisce about how they first started out and formed The HeavyTrackerz. The album itself is very diverse and tells the story of The HeavyTrackerz journey in the music industry. It is a great body of work that took three years to perfect and a record you will want to listen to from start to finish. Tee explains, “We treated each chapter with its own purpose. We started off with an education of grime by Noel Clarke. ‘Control’ is the first tune on the album for a reason; it’s what the album is about. Then you’ve got ‘Rudeboy Flex’, which is a massive middle finger to the system with an ‘I don’t care’ kind of vibe. As producers, Tee and Tank have to rely heavily on collaborations with other artists to help them tell their story. Odyssey: A Musical Journey features a heavy cast of grime royalty with Ghetts, Lethal B and JME, as well as surprise voices such as Shola AMA, a nod to the esteem The HeavyTrackerz are held in by the wider industry. When asked how these collaborations came about, it is clear that they have paid their dues in the sector and have worked hard to establish their name, not just by what they produce but by making an effort to get to know their peers. The HeavyTrackerz ambitions haven’t stopped at making their first record and have dreams to tour Odyssey: A Musical Journey. Odyssey: A Musical Journey is out now.